The forty days that Jesus spent in the desert have become one of the most important periods of his life in their effects on both the Church and indeed world history. They have played no small role in the creation of the original Church which was created on this island. The desert in later centuries would become the place where the monastic tradition begins and indeed the eremitical vocation. The Church which flourished on this island was inspired by these early monks. Our place of wild beauty, our offshore islands may seem a far remove from the trackless sands of the desert but they reveal the same intention. To find a place where the human spirit met the divine. Where the purity of the Christian vocation of prayer and hospitality and learning could be pursued without the interference of the political world. Although today’s Gospel from Mark is the shortest version of this story we might reflect deeply on all the versions. They are vital for our future, because they give us the deepest clue to the way Jesus approached the world. The events are right at the beginning of his ministry and so reflect his years of preparation. The temptations are all the temptations of the good person: to end hunger, to take control of the political process, to play God with the forces of nature. But Jesus says no to them all. These decisions will lead to his death. And they have implications for the Church and for each one of us.  To end hunger we must create a just world, through the work of agencies like Trócaire. The urge to control the politics of the world is a constant temptation for the Church, but it leads to hurt to others, and repression of the spirit of freedom. And to play God with the forces of nature is to deny the dignity and sadness and beauty of the ordinary. Lent is our desert place where we can begin to face our own future in a world which demands its own independence, but also needs the wisdom of the desert. There is a phrase I love deeply because it is double edged. It holds seeming contradictions together. And that is a helpful way of trying to understand Jesus, who is, we believe both God and human. The phrase is “out of the ordinary”. By this we usually mean the extraordinary, the very unusual. But the phrase also suggests that it comes from the ordinary. Our Gospel today concerns the Transfiguration. This event is usually seen as a moment in which the Divine light is seen through the body of Jesus. It is interpreted as a means to give hope and courage to the disciples as they faced the days of the Passion and death of their friend. And it is of course all those things. But it seems to me that there is something else involved. Something prior to the miracle, something underneath the wonder. Something ordinary. There are people we meet in life who seem to have some inner light. In their presence we feel bathed in some glow of life and joy. There are moments in nature – under a clear night sky, under a wheel of starlings in the sky, beside a sea which is an orchestra of distance and depths – when we sense a force of life beyond us. There are creations of human genius, in music, paint, words when we are awed when the spirit within us dances in union with some power that whispers of eternity. There are quiet moments of human love, when in the depths of care, joy, ecstasy, dedication to wounded people when we recognise God. Not maybe a blinding light, but a flashlight, a torch of the Divine. And in the long dedication of so many people to the struggle for justice and peace we see in a dark world a new light shining. The light of some future kingdom. The Transfiguration reveals not only the light of God in Jesus, but invites the apostles and followers of Jesus to allow the light of God to reveal itself in the way we live and love, the way we pray and wash feet. I remember a very eminent psychiatrist once saying that the Gospel story of the cleansing of the Temple suggested that Jesus was revealing his fear before the coming Passion and death. That only this could explain how the usually gentle Jesus could rampage through the Temple. It seems out of place. We should never forget that there is a passionate heart and spirit in Jesus. That as well as the Beatitudes there are a series of balancing curses. That his words often cut to the quick of people who are taking advantage of others. And very often these barbed, corded words are delivered to those who use religion as a way of controlling people, or hindering the work of freedom that Jesus is about. The banked fire of the prophets is flamed again by the breath of the Spirit in Jesus. There is a holy anger in Jesus. But it is always fuelled, not by fear or some inner traumas, but rather by a vision of what we might be. Access to the Temple, to God cannot be bought. Cannot be sold. It is a free gift of a free God. Nobody has any right to put a price on prayer. Gandhi say in this episode and in other events in the life of Jesus when He broke the law and healed on the Sabbath as a sign that there are basic laws of freedom and life, of peace and justice which are greater than any religious or state law, any economic theory or prophet motive. And that in the name of these higher truths, and in the name of the victims, the law may be broken. Further than that – the law must be broken. The Jesus of today’s Gospel faces us all and comes towards us with hard truths. Light. Darkness. These two words might be the themes of our Lenten prayer and meditations. Light has already blazed forth in the Transfiguration story of the Second Sunday. And from here on the darkness will thicken until it covers the earth on the sixth hour of Good Friday. The Midnight Mass of Easter Sunday will dramatise the two words. The fire and the candles will slowly brighten the Church as we wait the new light of the Resurrection. In which Life overcomes death, Light defeats darkness. These days those words have less meaning, less visceral strength. When we think of light our first instinct might be to regard it as a human creation powered by human inventions. But to have stood on the summit of Croagh Patrick in the years of the night climb and watched dawn break over Clew Bay was to know the deep glory of light. It shades and degrees. To have seen the sea and islands slowly take shape and colour under the rising light was to know a prayer beyond words. To have lived through a time when we witnessed once enemies clasp each other in friendship: to have seen Mandela emerge from the darkness of prison and lead his country into a peace process: to know people who have conquered addictions to alcohol and drugs: to have witnessed families that created loving space for children who were homosexual or lesbian: to have experienced teachers who allowed the light of subjects to be a dance of joy in their students: to have known parents whose every word and deed, whose every silence is an invitation to light and laughter and goodness – all these and every living thing is a promise that Love and Light have no end. That there is no darkness when the light of God burns within us.